My post will go up tomorrow! Bless you Jenny! I vote to have you 'spot check' us for our grade. Reading all those posts with your busy life makes hosting this meme less of a joy for you. 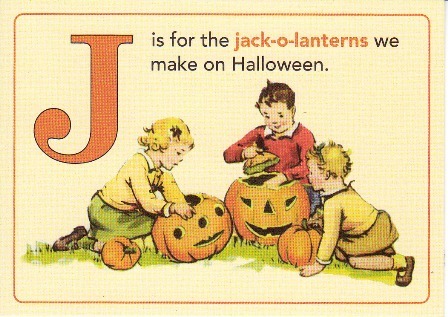 I love your jack-o-lantern picture. Is this another that you made with your talented hand? it seems like this week is slower than the last, but I did get my J done. Oh Jiminy Cricket, I made a mess of things today! In order to better appreciate my link up, you'll have to read two when you get a chance. Thanks for hosting, Miss Jenny! J is for JENNY!!! Thanks so much for continuing to host this amazing Alphabet Thursday fun! Yes! I did it! I feared I'd never get this completed and turned it, but with the good graces of well, hmmm lack of sleep and off just a bit early it's in! Hope your week is going well Jenny! Yes indeed - J is for Jenny! Thanks for taking us through the alphabet! J.j.j.j...give me a J! Yay! Jenny! oh dear! I am afraid I am that late, late student again! I am soooo glad I made it! Blessings & Aloha! Will have to get to visiting!